2018 Celebration of Light Special Hunter Douglas Savings Event! 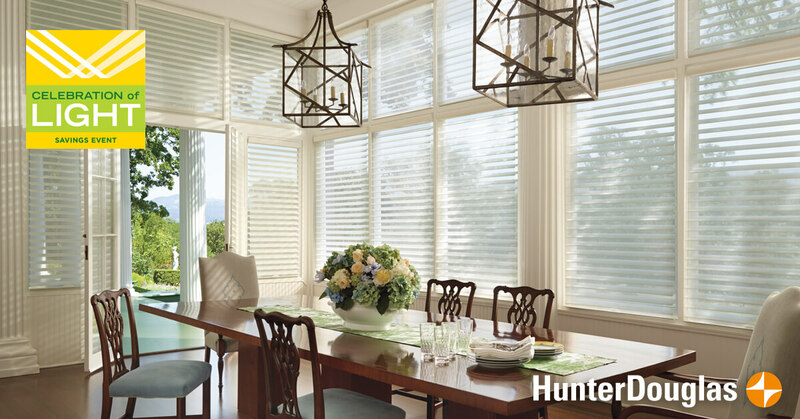 show you how Hunter Douglas window fashions brighten and soften your spaces. 2017 Celebration of Light Savings Event! 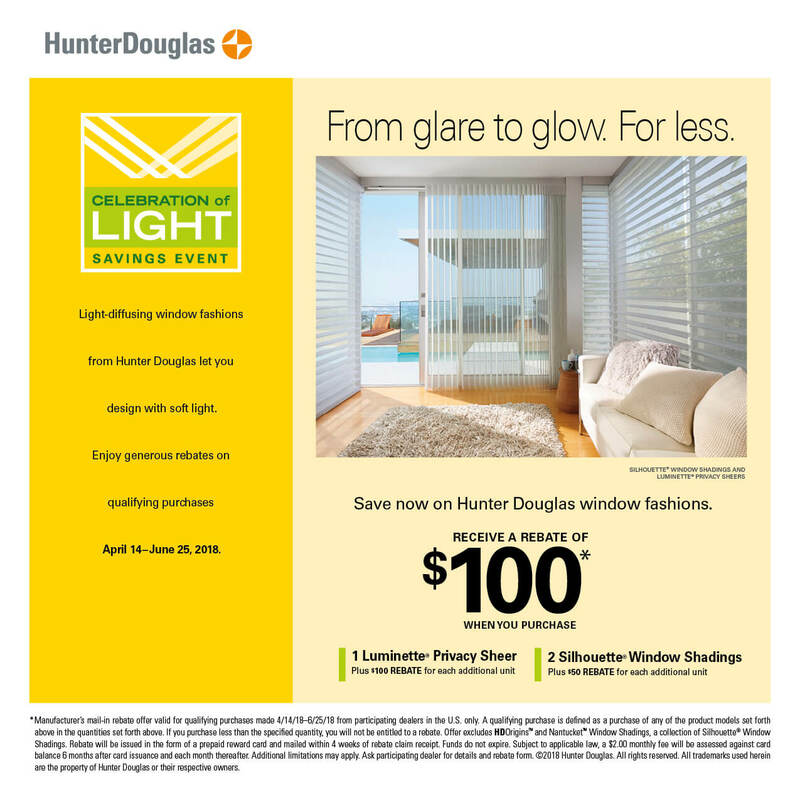 Celebration of Light: Rebates on Hunter Douglas Window Treatments through June 27, 2016! Spring has sprung! 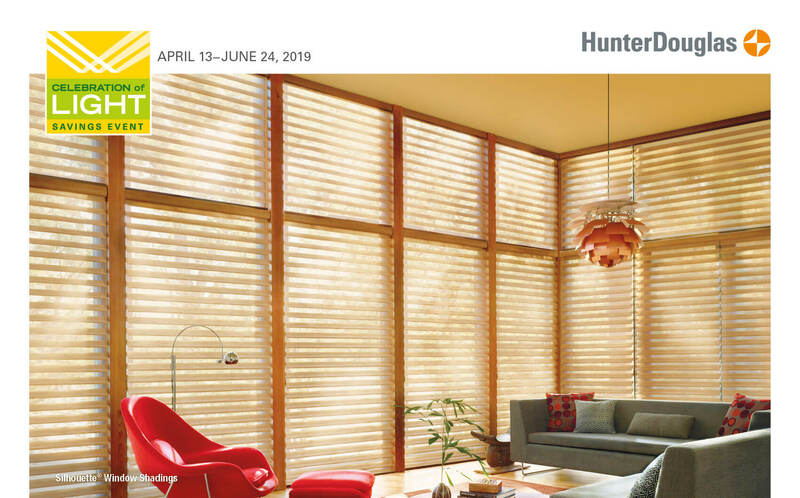 Hunter Douglas’ Celebration of Light special offers rebates from May 5 – June 30.